Happy belated Halloween and Happy November. I hope you have had a good week. I have as we had lots of trick or treaters which is rare in the UK where Halloween still isn't that popular. I love dressing up, carving a Jack-o'-lantern and especially, eating the leftover candy. I am destined for a diabetic coma. Anyway, what did I read? 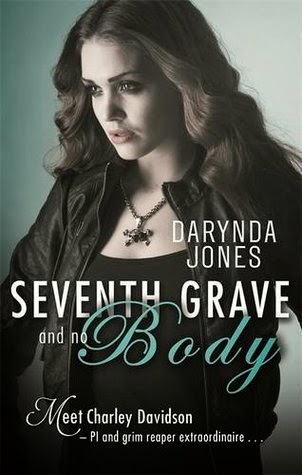 Lucky for me I started the week with a new book from a series I have been enjoying - Seventh Grave and No Body by Darynda Jones. If you have been reading this series you will remember that Charley was pregnant with the child of the son-of-Satan, Reyes at the end of book 6. Well she is trying to come to terms with that along with solving the murder of several young children while being chased by hellhounds. The hunky Reyes is determined to protect the lovely grim reaper no matter what but she keeps getting herself into trouble. While there was a few murder mystery threads in this instalment the focus was very much on Charley, her unborn baby and the prophecy. Despite the fact that Reyes and her friends are almost killed more than once by hellhounds Charley continues to make sassy/smart alec remarks. It wasn't until the final chapter or two that Charley actually acts with gravity and maturity for her situation. In the previous books I thought that Charley could be as amusing as the chapter headings but as she grows up and really bad things continue to happen to those she loves I thought that she could lay off sounding like an insensitive teenager. 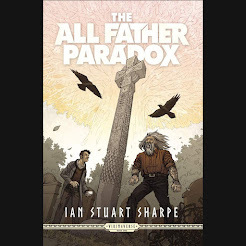 Lots happens in this instalment so its a must if you have been reading this series. I hope that Jones doesn't drag it out for too longer as much as I enjoy these characters. 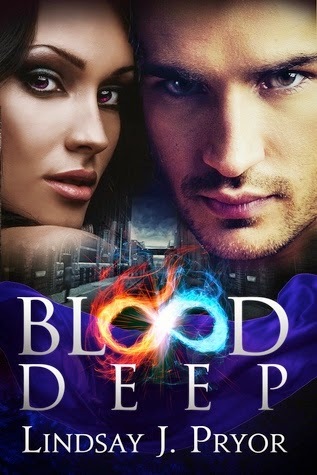 Next on my reading agenda was Blood Deep (Blackthorn 4) by Lindsay J. Pryor. I have a love/not love relationship with this series. I really like Pryor's world building and the over-arching plot but do not like the subjugation/sexual dominance of the male lead over the female lead. This instalment was a departure from that with Jessie who is locked in the roughest area of Lowdown in an area controlled by the criminal Pummell. She has strong powers including the power of healing which is lucky when the hunky Eden lands on her doorstep close to death from a vicious beating. Jessie has something to hide and Eden is determined to find out what that is all while trying to save his niece, release Jessie from the prison of her life and not to get killed in the process. Lots of the prophecy alluded to in previous books is revealed in this instalment through Jessie and the ending brings it full circle to the ending of the previous instalment. In fact I had to go back and re-read the ending of all the previous books to refresh myself as to what had happened. It was really well constructed by Pryor and quite clever. Pryor also creates two engaging characters. They weren't so black and white as previous characters and there was no virginal heroine caught in the trap of the big, hunky baddy. Eden was quite hard but had a big, squishy, marshmallow centre while Jessie was trapped by who and what she was as the witness in a nearly a century of brutality. I am really looking forward to the next instalment. Finally, I ended my week with the first release in Ilona Andrews new series starting with Burn for Me (Hidden Legacy 1). If you have read my other reviews you will have guessed that I am a big fan of Andrews but of all their books the Kate Daniels series is by far my favourite. I was a bit hesitant about starting this series as I wasn't sure if I would enjoy it as much given its romance billing. I thought their Edge series was a bit average so another romance series didn't fill me with anticipation. I was however, pleasantly surprised. I liked Nevada, I liked her family, I liked Mad Rogan and I even liked Adam Pierce (well liked to dislike). I thought Nevada's inner dialogue was really amusing but she wasn't wise cracking when bad things were happening like Charley Davidson would have been. There was a good balance between plot development and action all combined with good characterisation. Nevada has been given the extremely difficult and most likely deadly task of bringing in the uber bad boy Adam Pierce. Just when she thought life couldn't get any more difficult she is kidnapped by the Prime/super powerful Mad Rogan. She ends up teaming up with the equally hunky and dangerous Rogan to bring in Pierce when she discovers the case is not quite straight forward. Magic, mayhem and great characters are at the heart of this story. Andrews fan or not this is a great start to a series. 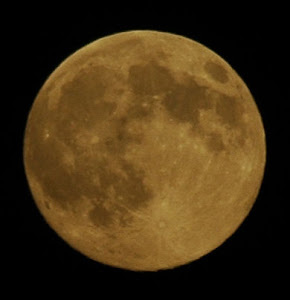 That is it for me for this week. 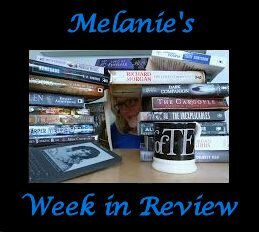 I hope you have had as good of a week in reading as I did....if not you have some good suggestions. 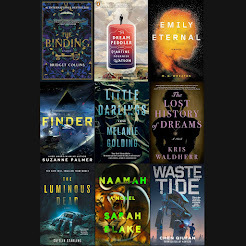 Until next week Happy Reading.